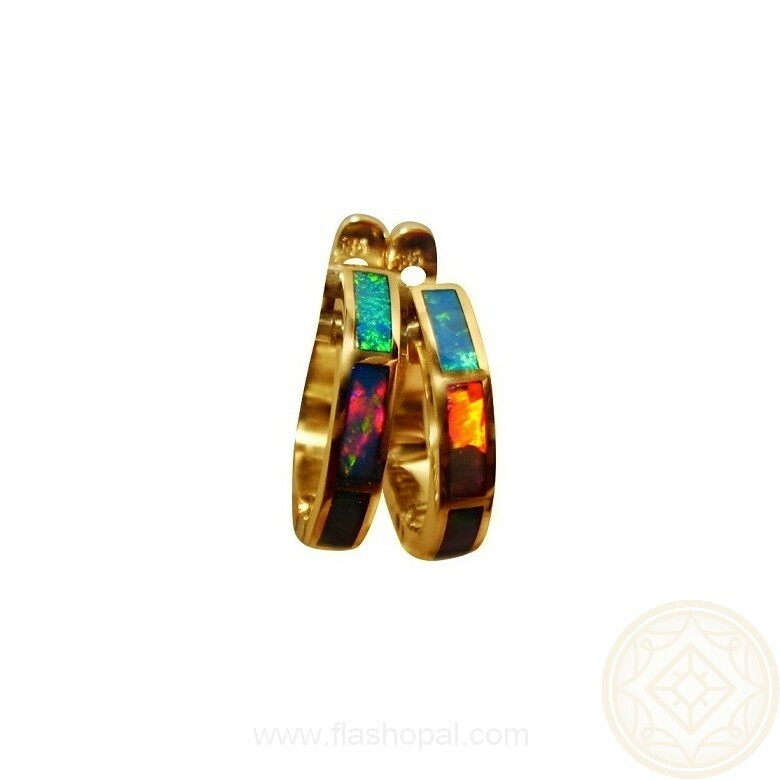 A vibrant pair of Opal earrings that are small inlaid hoops in 14k Gold with brilliant multi color Opals. 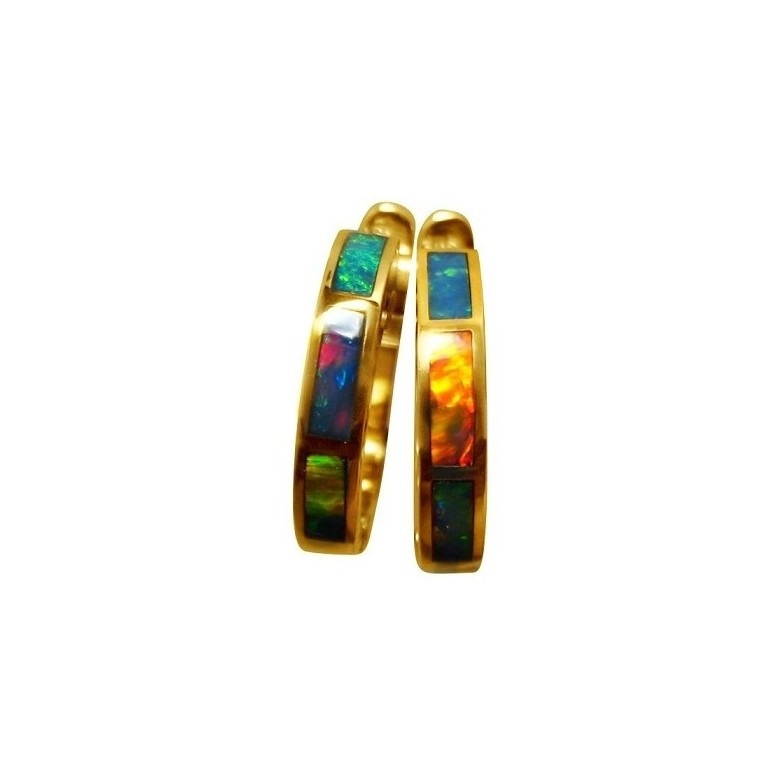 A beautiful pair of earrings in a small huggie hoop style in 14k Yellow Gold. 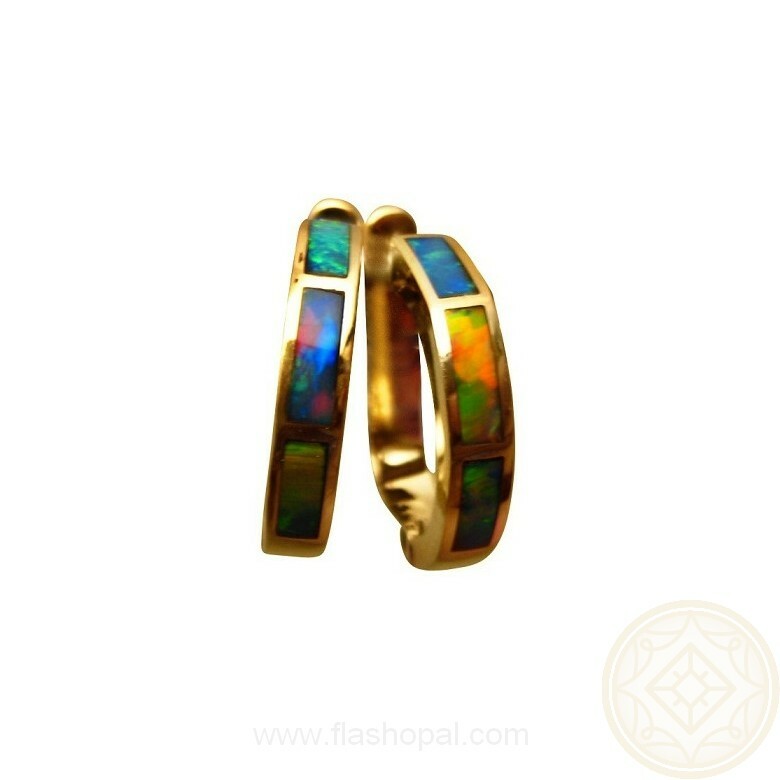 The earrings measure 13 mm round and are inlaid with six very bright and colorful Lightning Ridge Black Crystal Opals and despite the size, will be noticed when worn. A gorgeous mix of colors and patterns shown in the photos but as these earrings are Made to Order, please allow for some variation. They will take about one week to make before images are provided for your approval to ship. I'm so in love with these earrings! 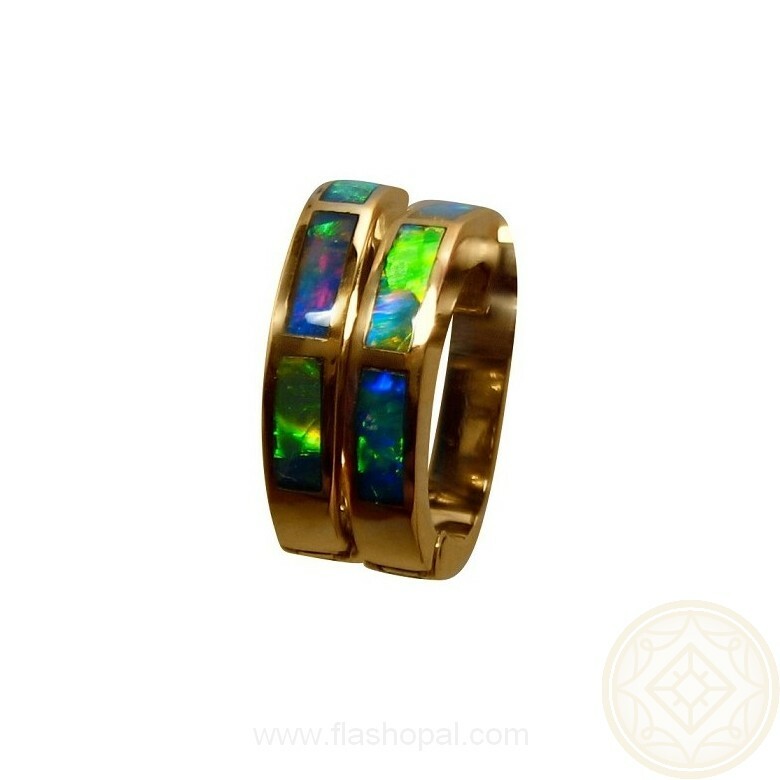 The colors are amazing, they're constantly glowing, changing, rolling and mesmerizing. Beautiful quality! The customer service was also outstanding... very informative, and willing to answer any questions with promptness. I am truly satisfied with this purchase! Got my opal earrings a little while ago and just the got the time to open them...they are beautiful!!! I just love love them. I wanted to let you know I have received the ring and earrings. They look beautiful. Great craftsmanship. Thank-you.